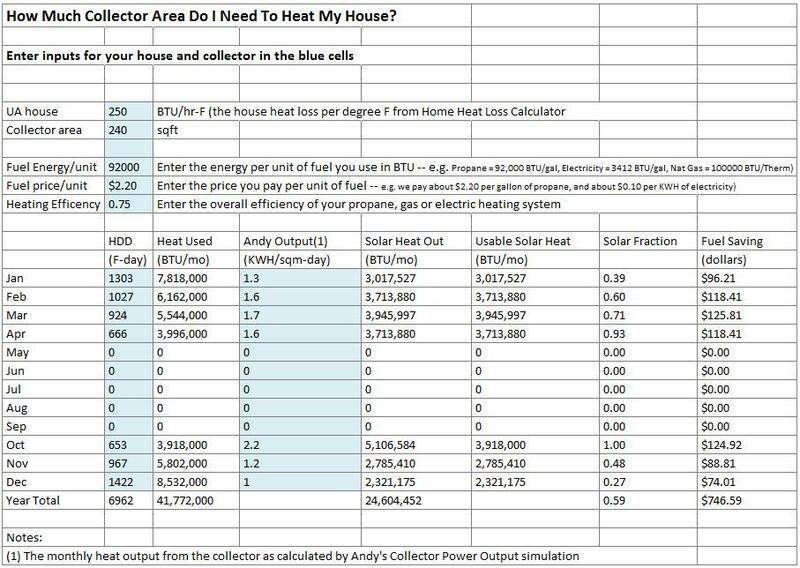 Build-It-Solar Blog: How much solar collector area do I need to heat my home? Assuming a fixed setup, they always seem to be aligned for maximum efficiency in summer. In August, the water coming out of my panels is 210 degrees. Instead of having (for example) 100% efficiency in Summer and 30% in Winter, wouldn't it be better to have 60% efficiency all year? I did mine with a steep tilt for more efficient collection in the winter, and for less efficiency in the summer. I think its a good way to go, but you do have to install somewhat more collector area than a system that has the tilt optimized for spring/summer/fall. I'd guess that on commercially done systems with collectors costing $30 a square foot that they feel its better to put in just enough collector area for the system to work well in 3 seasons with and to let the system performance fall in the winter. 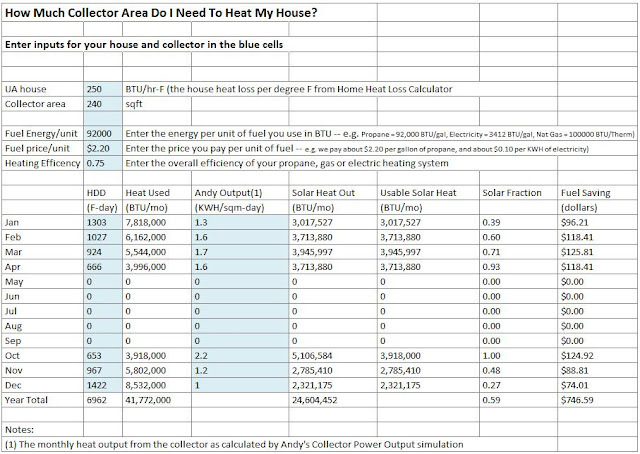 If you are doing the system yourself at $5 a sqft for collectors, it seems to me it make sense to add the extra collector and make the tilt more optimal for winter.